The Martinsville City Park Pool will open for the summer season tomorrow (Saturday) at 11:00 a.m., after Parks staff spent the past several days repairing recently discovered maintenance issues and having the water safety tested by State officials. According to Pool Manager Lexie Vine, the pool will be open Monday – Saturday 11:00 a.m. – 6:00 p.m. and Sundays from noon – 6:00 p.m.
“Admission prices are $4 for everyone six years and older, youngsters three to five years old are $2 and children two and younger are free. Season passes are $135 for a family of four. Each additional member is $15. Individual passes are $40. Passes need to be paid for and picked up at the pool. Only cash and checks made out to Martinsville City Park Pool will be accepted. “Our staff is very excited to open the pool. We are ready for everyone to come and have a great time,” Vine said. The pool can be rented from 6:00 – 8:00 p.m. each evening for $200 for parties of 50 people and fewer. For groups of more than 50, the price is $250. Late night swims will be available on select evenings (announced 24 hours in advance) were swimmers can enjoy the pool from 6:00 – 8:00 p.m. for $2. Season passes cannot be used for the late night swim entry unless the swimmers already are at the pool prior to 6:00 p.m.
A new program this summer is birthday packages available from 1:00 – 3:00 p.m. and 3:30 -5:30 p.m. For $75, guests can pick the day they would like to celebrate with pool admission, ice cream and their own table for up to ten children and two adults. Additional children can be added for $5 each and each additional adult entry is $2. To reserve your spot, please call the pool office at 349-5397. Future specials include Superhero Day where swimmers who come to the pool in their favorite superhero costume get in for $1 off of regular admission price. Once Martinsville schools open later this summer, the pool will only be open on the weekends through Labor Day weekend. 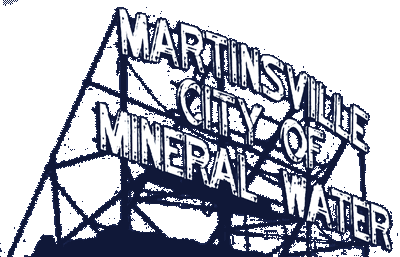 Check the Martinsville City Park Pool Facebook page for the latest updates all summer. For questions or interview requests, contact Vine at the Pool office at 765-349- 5397.